What Are the Best Materials for a Pool Patio? “A patio around the pool.” Sure. No problem. Sounds simple, right? Until you start thinking size, and shape, and materials, and money… Yuck. Details. The devil’s in ’em. But we at River Pools are here to help! We want to clear out the mess and the stress so that you can make the best pool decision for you and your family. 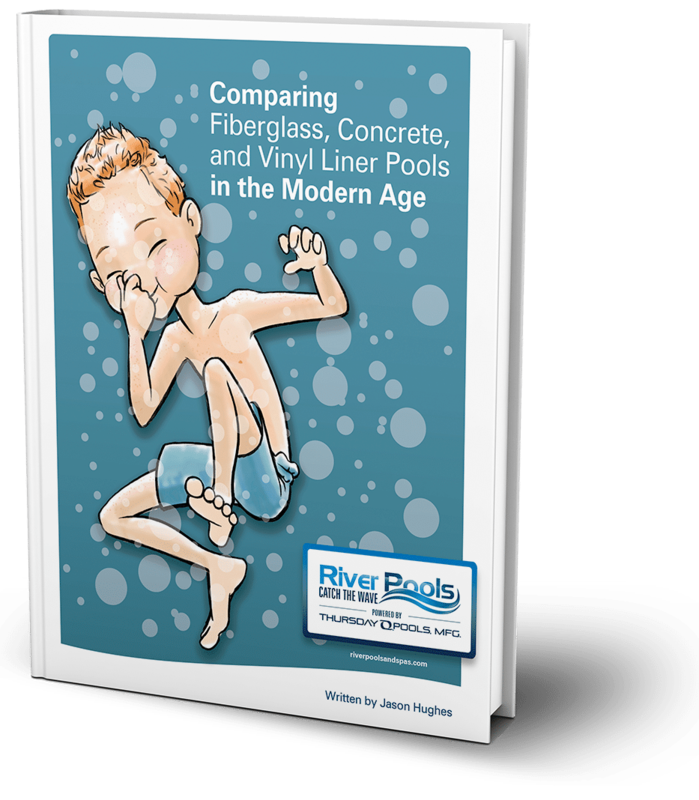 We specialize in fiberglass pools, sure, but no matter what pool type you choose in the end, we provide all the information on all the aspects, good and bad. It was a blistering July day in Virginia. The heat index was 108 degrees, there was a heat advisory in effect, and we were sitting around the office discussing what an enlightening experience it is for potential clients who decide to make the trip to visit our inground pool park in Warsaw. Dan Dunn, our sales manager, mentioned how he not only takes time to show the different types of patio options featured in the pool park, but he actually has his clients remove their shoes to feel the temperature difference between the various patio materials. Immediately a light bulb went off in my mind and I said, "Video!" Are you considering installing pavers around your inground pool? If you are considering an inground pool, you've probably noticed there a lot of decisions to make! From the type of pool, to options and accessories, to the type of patio and coping; all of these details impact the look and feel of your finished pool...as well as your budget. One detail that may not initially stand out is the pool coping, or material that borders the perimeter of the pool. In the video below, we discuss a particular type of coping called cantilevered concrete coping.